Many students enjoy doing art as part of their regular every-day homeschool classes. Not only can art help students grasp concepts and information they otherwise might have missed, but it can also help them enjoy learning and develop art skills all at the same time! 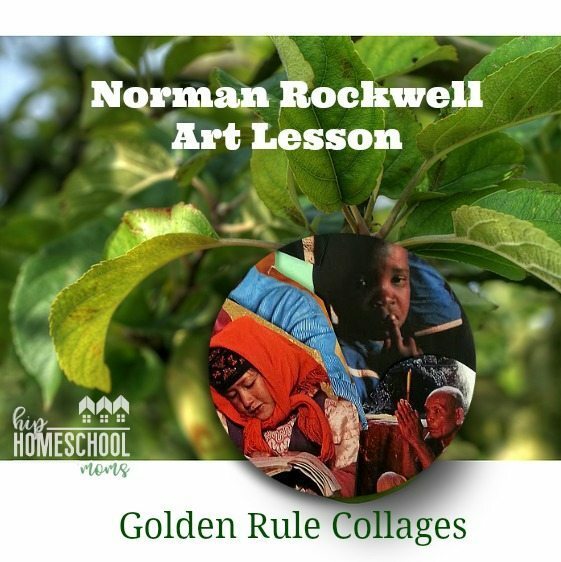 I hope this lesson on Normal Rockwell and “the Golden Rule” is one that you and your children can enjoy and learn from together! This Norman Rockwell Art Lesson is wonderful for teaching the elements of art in a fun and applicable way. Homeschool moms can teach this course using an on- and off-the-bus teaching style. This means teaching with all age groups to start and then doing more focused concepts with older children. However, it’s got everything you need if you’re teaching in a classroom or co-op setting as well. In fact, I have used it and developed it in a classroom setting. As always, I begin my lessons by introducing the artist. Rockwell was born February 3, 1894. He is an artist who is easy for children and adults to relate to. So many of his “stories” tell us about ourselves, really. We can all relate to the circumstances and life experiences they depict. Through his illustrations, we can see the young awkward boy he must have once been. Rockwell was someone who had characteristics that our world sometimes places no value in but that are truly admirable. His artist’s eye wasn’t just what he saw in the images but what he saw in the events. His paintings and illustrations bring to life so many fun scenarios and happenstances. This made him not only an artist but a storyteller too! 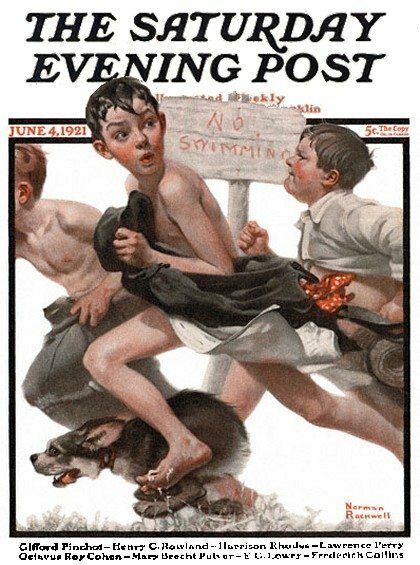 A Norman Rockwell Calendar that I used for prints- features 13 of Rockwell’s most popular Saturday Evening Post illustrations. A book by Beverly Gherman titled Norman Rockwell : Storyteller with a Brush. It highlights his many illustrations as well as tells a detailed biography. And if you live near (or are visiting) Stockbridge, Massachusetts, you need to go to the Norman Rockwell Museum! Hours vary, though, so be sure to check before you visit. For fun, have your child work on this online Golden Rule jigsaw puzzle from Garden of Praise. With each illustration, I asked the children to tell the story behind the painting. What do they think the painting is saying? I have created some emoticons you can print and use in this Explore the Elements of Art lesson plan to accompany this Norman Rockwell art lesson plan. The picture study focus for this lesson is The Golden Rule, which the lesson is modeled after. First, we talk about what the illustration expresses. In what way/s does this painting convey a message? What story does it tell? As we looked at it deeper, I asked about the artist’s use of the basic art elements. I point out the way he uses color, contrast, space, etc. and teach about them. These are also the vocabulary words for this lesson and the main focus of the Exploring Elements of Art packet. The packet is a complement and not a complete lesson plan. Line: What types of lines are used? Are any repeated? Color: What colors are used and how? I point out here the use of the color white to create a central focus and contrast. Attributes: What are this works’ attributes? It’s value, tint, is it black and white? What kind of saturation? Notice the background value seems lighter. Shape: Are there any shapes repeated which make it pleasing to the eye? What are they? Direction: How does the use of white direct your eye to make a full circle? Why? Texture: Is there any texture? If so, what kind and how is it achieved? Space: Is the entire space used? Is there overlapping? Balance: How is balance achieved? What feeling does this create? Contrast: How is contrast used? Color contrast? Any other contrasts? Also included in the Art Elements Packet is a Design Questionnaire to help older children/students to plan the design and layout of their collage. 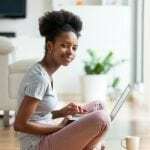 For example, I had one child use all black and white images, an intentional plan that was made before choosing magazine clippings. It’s just to get them thinking about the arrangement. It’s OK if they change it as they go, but the idea is for them to think about the different ways to use art elements and the placement of them, instead just gluing randomly. 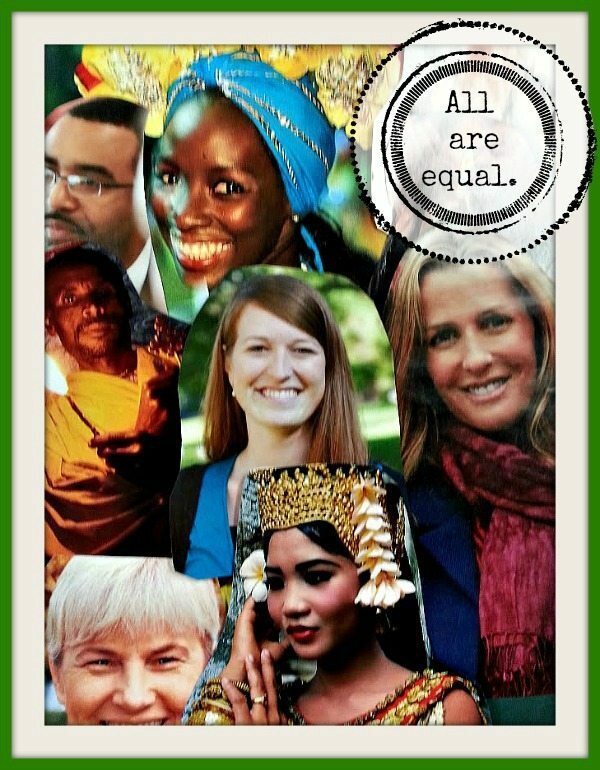 Objective: For students to explore elements of art through collage design and express by using magazine clippings and images their own multicultural message of peace. It’s up to you if you want to allow your student/s to convey a different message. In short, I would say go for it, but make sure they have a theme or message to convey and are therefore “telling a story” with their collage. National Geographic or other multicultural magazines with lots of people in them. For a teacher in a classroom or co-op setting, I recommend cutting out an assortment of images ahead of time (especially if adapting for a younger class). This saves time and allows you to get right to the project. But for homeschoolers, I think most of our kids will enjoy doing their own searching and cutting. Mod Podge *You can make one of these homemade Mod Podge recipes to save money. Before they begin designing their collages, go through the art elements with your children. As you do so, have them fill out the first “Design Questionnaire” from their packets. 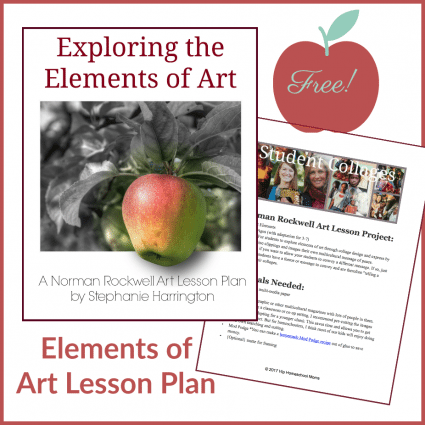 (See free download of Exploring the Elements of Art.) For younger ages, use the emoticons from the download. 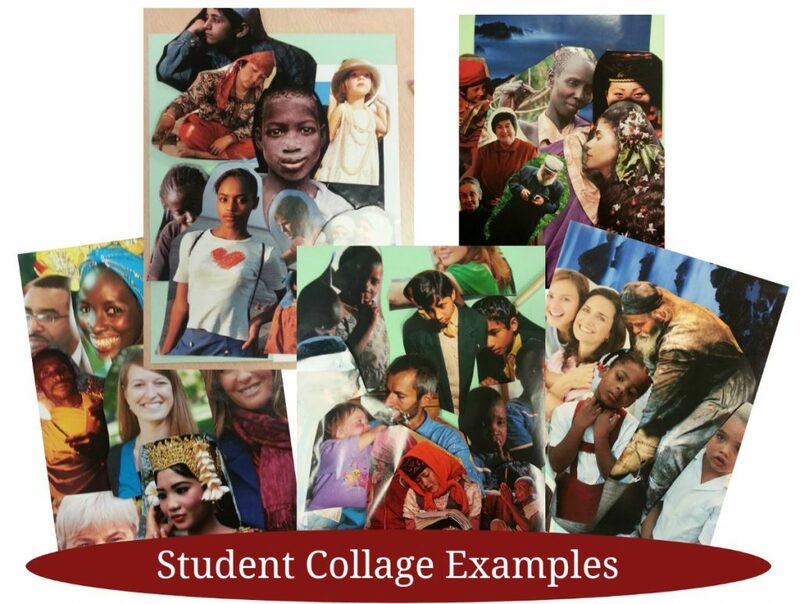 Have children use Mod Podge (or your own homemade version) to glue and shellac their collages. Frame with a matte if desired. Afterward, have the children evaluate the outcome of the project using the second Design Questionnaire. Do they feel successful about “telling their stories”? Have them answer the result section of the handout. What art elements did they end up using? What unexpected elements happened? This is so great, thank you for putting this together! Awesome idea!! This is something I could see my kiddos really enjoying. This is wonderful! Thanks for sharing !! I love this! It is similar to the art appreciation class I took in college. Awesome lesson. Art is something that is missing from our lessons right now. This will help me correct that problem!